Discover the rhythm of our European capital and live the royal life in our 5* hotel Le Châtelain. Create new memories and discover a unique experience in a surrounding which fulfills all of your needs and expectations. The hospitality we give is our greatest opportunity to prove how much we care about each and every guest. Immerge yourself in the luxury and relax in one of our 107 rooms and suites furnished boutique style and equipped with high-end technology. Clear your mind in our fitness center, relax in our sauna and enjoy a moment of silence in our garden or in our lounge area by the open fire. Let yourself get swept away and be spoiled by what Le Châtelain’s universe has planned for you. Join us for a unique experience. Your comfort is our priority. The Service is one of our priorities and keeps on being our highest concern even before and after your arrival. Our Guest Relation Manager and front office team are available 24/7 to assist you in your research on information about Brussels but also to help you discover other significant and stunning areas of our country and of our property of course. Please feel welcome to contact us, answering any of your questions will be a great pleasure. Our valet welcomes you and looks after your car during your stay so that you do not have to worry about anything. Our chauffeur will take you anywhere you desire, making your stay as comfortable and convenient as possible. Limousine services are also at your disposal. Car & Limousine services are available upon request at our front desk team. Emphasize a special character to your events. Whether it is for a conference, a meeting or a private event, Le Châtelain wishes to offer you the best service you can ask for. Unique in Brussels, you also have the possibility to expose your car in one of our meeting room. In our event rooms every detail is important and this is what will make your attendings feel cared for. We are always at your service for any idea or special request to make your occasions unforgettably luxurious and carefree. The success of your event is our pride. With a capacity of 150 people, this 120 sqm room represents the perfect venue for gala dinner or wide international conferences. Either for broad events or used as a breakout room, the Coca room displays a glamorous environment filled with glare by the chandeliers and its genuine paintings in a 90 sqm room. Thanks to its 223 sqm room, Almansa & Belmonte are capable of carrying out car expositions gathering more than 230 people. 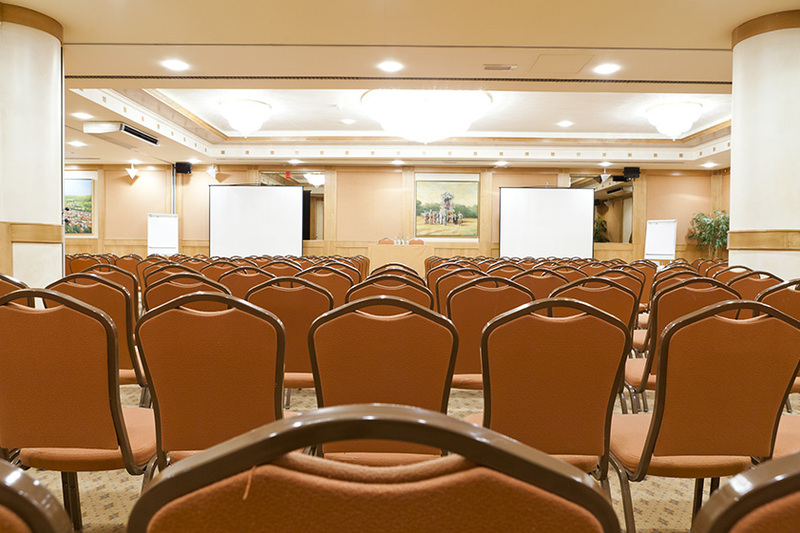 Ideal for loud and large events up to 220 people, Belmonte & Coca perfectly responds to the most complex requests. The greatest memories began in the most outstanding places. From intimate wedding dinners to elegant car expositions, the ABC rooms will fulfill your highest expectations. Worldwide conferences can be held without language barrier : the ballroom hosts the only integrated interpreter booths in the city while getting the most out of the 300 sqm at your disposal. Coziness and elegance are the best words to describe the MOTA rooms. For more exclusiveness among family and colleagues, the MOTA rooms are ideal for events where space, natural daylight and a home-like environment are required. 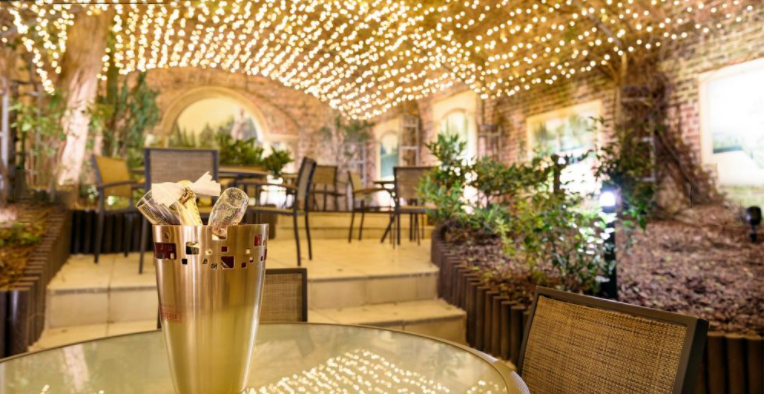 Perfectly located for you to take some fresh air in our lovely private garden, only two steps away from the main event. The Mota A room is ideal for small business meeting with the capacity of 35 people in a 30 sqm room. The Mota B room is perfectly equipped to host either business or private leisure events in a 30 meters square room. The Mota C room as well as the MOTA A and B helds a natural daylight that covers the room at its fullest capacity. 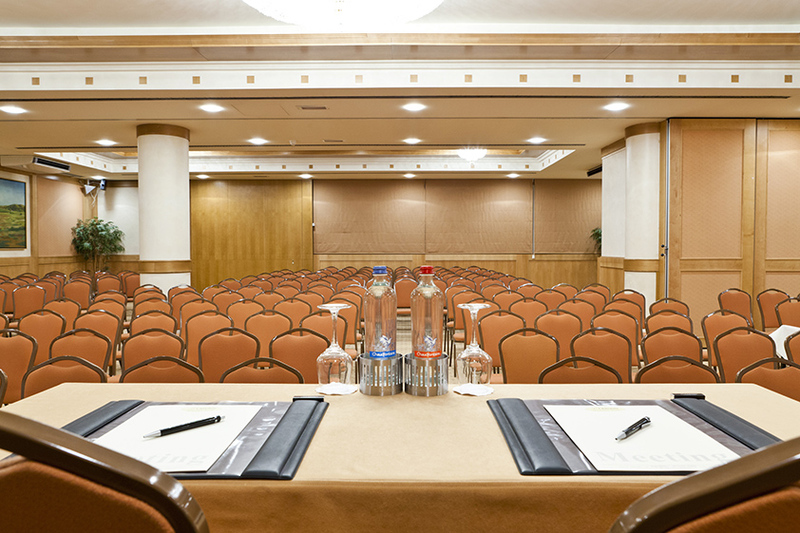 Mota B & C is the result of two adjustable rooms offering 60 sqm for medium-scale events up to 56 participants. Why not taking your partners to the most exclusive area in our hotel, where privacy & comfort blend together to offer you the perfect meet-up day. This space flooded with natural daylight is adjustable according to your requests, wether if you need a working breakfast, a 12 people meeting or a one to one conversation. 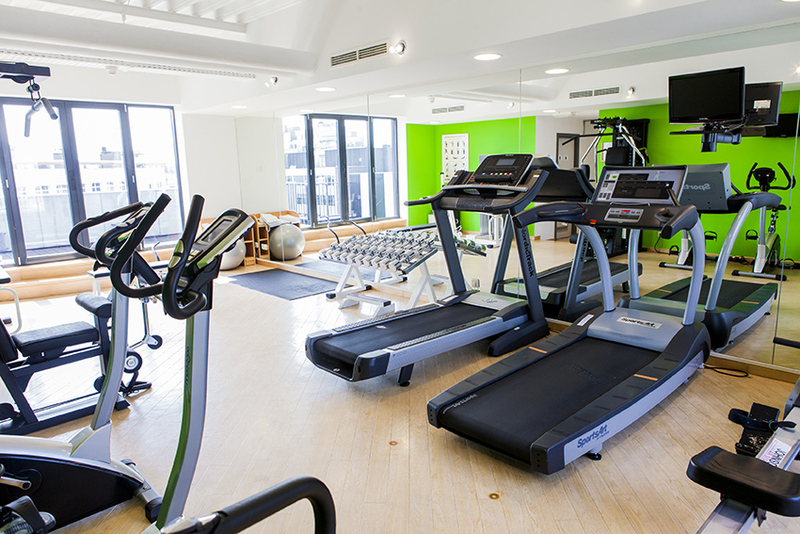 On our highest floor you will enjoy our Fitness Center and our Sauna. Weather it is for a workout and or a relaxing moment at any time of the day. Quietly nestled in Brussels trendy Chatelain neighbourhood, just a few steps from the fashionable Avenue Louise, Le Chatelain Hotel Brussels is situated in the center of Brussels’entertainment, shopping and business activities. 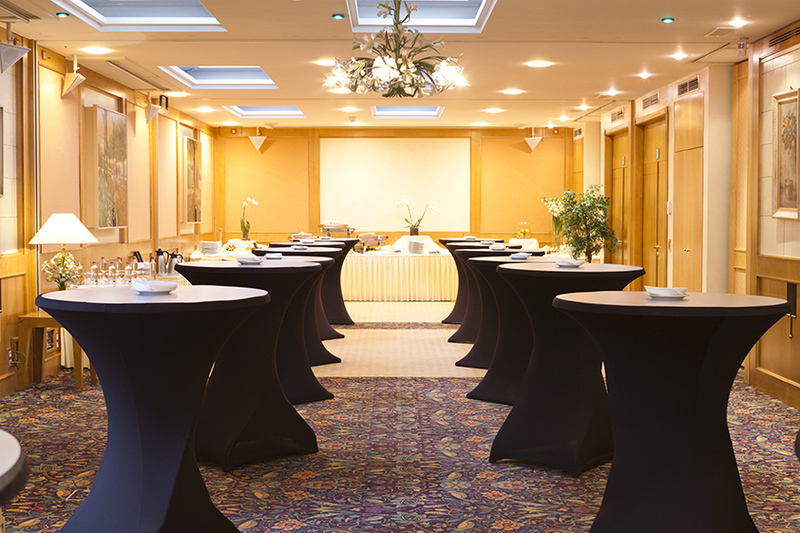 The hotel’s central location is excellent for both business and leisure guests and boasts convenient public transportation to all of Brussels. Just Out the Door. Brussels trendiest neighborhood. Fun bars, fine restaurants, boutiques and an exciting warm weather street life. 5 minute stroll. The museum is dedicated to the life and work of the Belgian Art Nouveau architect Victor Horta and his time. The museum is housed in Horta’s former house and atelier, Maison & Atelier Horta (1898), The building is inscribed on the UNESCO World Heritage List. 10 min stroll along Ave Louise to Brussel’s designer boutiques and fashion area. The magnificent Grand Place is the central market square of Old Brussels. It is surrounded by guild houses, and the city’s spectacular Town Hall. The area boasts museums, shops, cafes and restaurants. From the Le-chatelain Hotel it is a pleasent 30 minute walk passing by a myriad of shops, attractions and Brussels landmarks. Regular tram and bus transportation run very frequently. Bois de la Cambre (Park and Wooded Area) – 20 minute leisurely walk down Avenue Louise. 20-40 minute drive depending on traffic or easily accessable through public transportation. 8 minute taxi ride also easily accessable by regular tram and bus transportation. 8 minute taxi ride also easily accessible by regular tram and bus transportation. 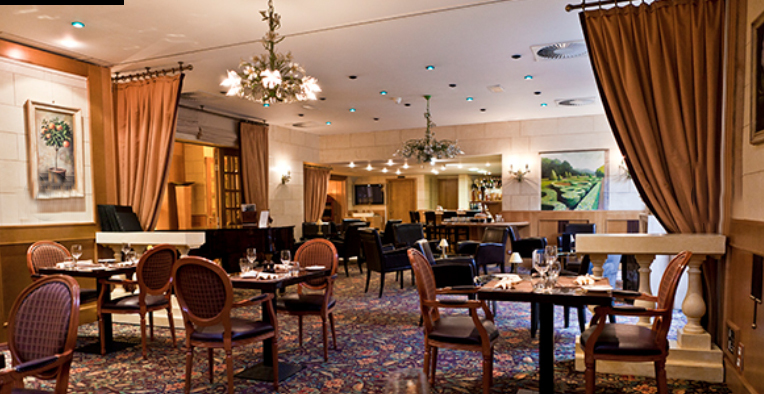 Brussels boasts thousands of places to eat, many of which are consistently voted as the best n the Europe and conveniently, for our guests in the evening “La Maison du Chatelain” sets the tone. This chic restaurant offers elegance, refined taste and a touch of exclusiveness that are gathered in this new highlight of Belgian and French gastronomy. 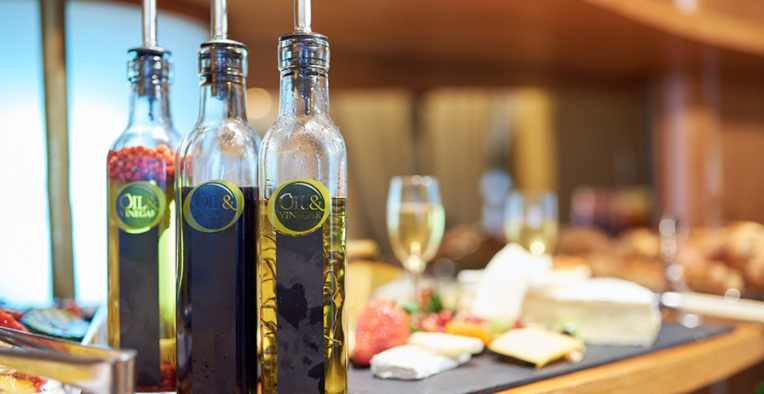 Relish a moment of pleasant, intimate and innovative cuisine. Our chef pulls all the strings to suggest original meals and tastes to you. A pinch of patience, a touch of curiosity and a spoonful of good mood are the main ingredients for a successful evening at our restaurant. Your meal and your memories will be created here, at “La Maison du Châtelain”. Start your day right in a modern yet relaxing atmosphere, savouring varied local and international products. The B’Artist offers an American buffet with a large choice of food for your culinary delight. You are of course surrounded by our staff who are ready to serve and fulfill any of your demands. Escape reality for a while in our beautiful garden and recharge your batteries peacefully. Ressource yourself in tranquility and flourish in a relaxing atmosphere. Come to the garden whenever you’d like, whether it is to sip a cocktail, taste or just relax and enjoy. After all, a garden is like a friend you can visit whenever you like. Thank you for choosing to book Hotel Le Chatelain.! Due to limited availability you are encouraged to contact the reservations department to enjoy our personalized service, by phone on +32 2 646 00 55. Please fill this form for individuals or for groups and you shall receive an answer written by a live person at Hotel Le Chatelain. This is the only way you can know exactly what room types are available for the dates you want, and the best possible rate, because you are dealing directly with the hotel. - Le Chatelain Neighborhood - Just Out the Door. - The Horta Museum - 5 minute stroll. - Louise Shopping - 10 min stroll along Ave Louise to Brussel's designer boutiques and fashion area. - Place Sablon - 20 minute stroll. - EU District - 10 minute taxi ride from the Hotel. - Bois de la Cambre (Park and Wooded Area) - 20 minute leisurely walk down Avenue Louise. - Brussels International Airport - 20-40 minute drive depending on traffic or easily accessable through public transportation. - Brussels Central Station - 8 minute taxi ride also easily accessable by regular tram and bus transportation. - Brussels Midi/Zuid (Thalys, Eurostar) - 8 minute taxi ride also easily accessible by regular tram and bus transportation.